An outfitter with 15 years of experience, 100% focused on exceeding your expectations in every way. 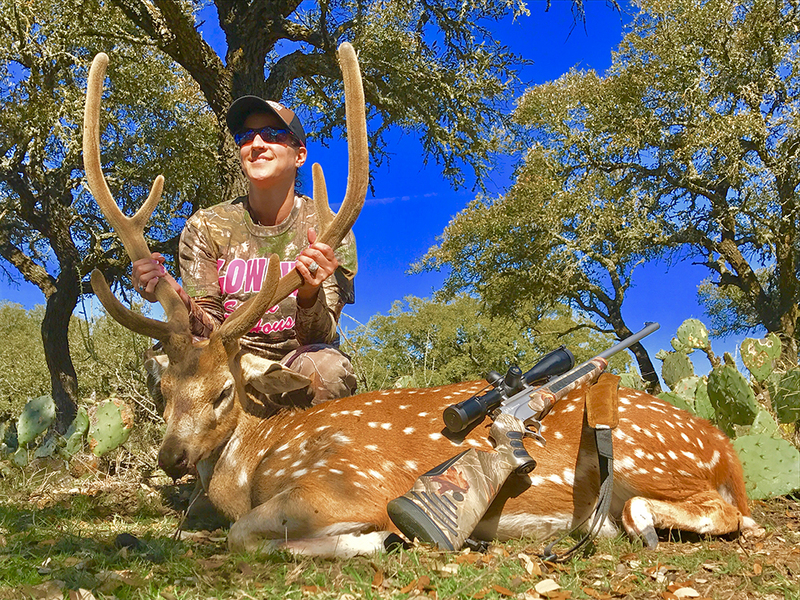 To name a few, we offer Texas Whitetail, Exotics, and Fishing options throughout the year at a fair price. How do I know you're the best? The only real way is for us to show you. We'll do what ever it takes to earn your business. You can simply call 254-640-7894 or click here to contact us. Our Rocksprings, Texas hunts have become a yearly event for the majority of our clients. We have 12 groups of guys and gals who consistently return year after year for more exotic hunting fun. These hunt are all inclusive meaning that your guide, lodging, meals, and game care is included in the price of the hunt. We do not have hidden fees.We try to only harvest fully mature animals and in doing this we ensure that our clients continuously take gold medal quality trophies home to hang on their walls. Our ranch and hunts come with plenty of references and we would love nothing more than to have you and your group hunt with us on your next exotic adventure.We can accommodate up to 15 people on these hunts so corporate groups and bachelor parties are always welcome.